Give your wardrobe a leg up with these cheap and popular pairs. Looking for a comfy pair that keeps everything in place? More than 3,000 Amazon shoppers gave this cozy pair a five-star review praising its tummy control, flattering fit, and opaque fabric. To buy: Starting at $23; amazon.com. These moisture-wicking leggings are perfect for gym goers. Users love their support, four-way stretch, and built-in pocket, which discretely stores your keys, cards, phone, and more. To buy: Starting at $22; amazon.com. 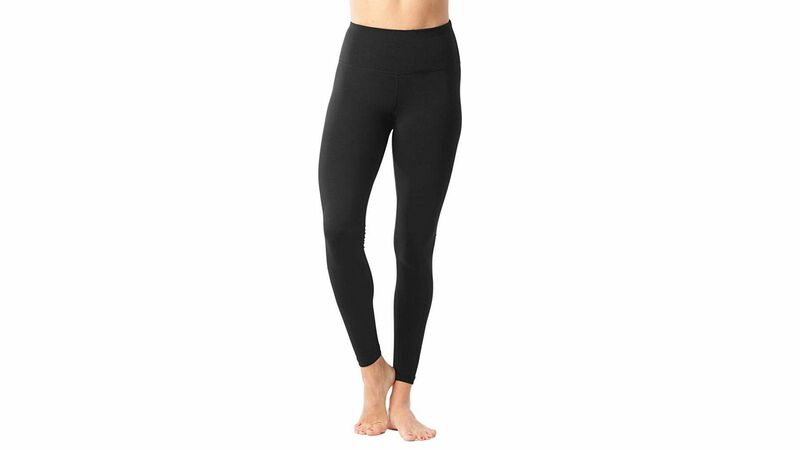 Designed in a seven-eighths length, these leggings will hit right above your ankle, creating a flattering look that accentuates the slimmest part of your leg. Wearers also love this pair’s slenderizing tummy control and sleek exterior pocket. And if you’re tired of the same old black hue, check out all of the pretty colors available, like tainted rose, lilac, jubilee, vintage magenta, and more. To buy: Starting at $20; amazon.com. 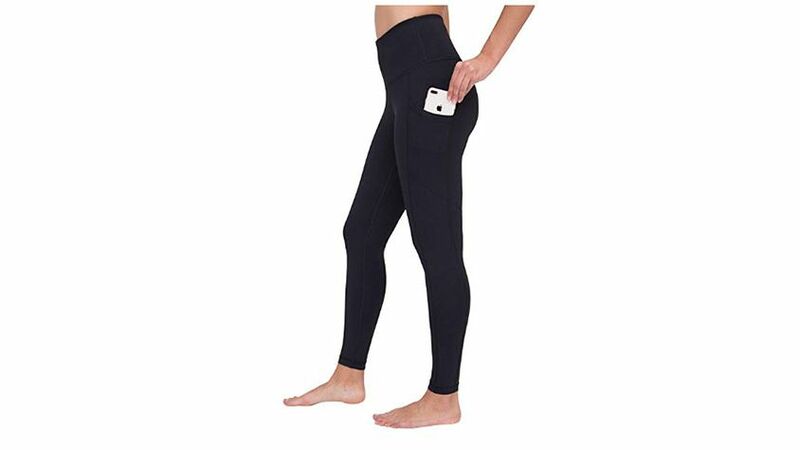 With more than 3,500 five-star reviews, these soft and stretchy leggings are one of the most popular pairs featured on Amazon. And with both full and capri-length styles, you can choose the length that best works for you. To buy: Starting at $14; amazon.com. While most pairs of compression leggings can cost you more than $100 a pop, this inexpensive pair smooths all over just like the expensive ones, but goes for a fraction of the price. And you’ll love this pair’s back zipper pocket that comfortably holds small items like keys and cash. To buy: Starting at $28; amazon.com. 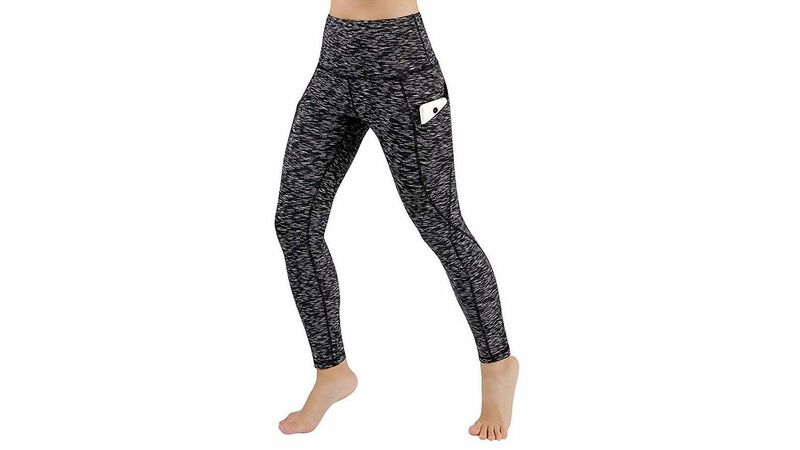 While some leggings can begin to sag or slip down as you bend and move, these are known for their stay-put power, which makes them perfect for busy days, yoga sessions, running, and all sorts of activities. To buy: Starting at $19; amazon.com. Though these aren’t the best pair for hitting the gym, these fleece-lined leggings are perfect for casual wear during the winter months. Order a pair and you’re sure to feel nice and cozy even on the chilliest of days.